We formulated Maxi Calm with you in mind. We combined Passion Flower, St. John’s Wort, and Valerian Root as powdered herbs. This is a perfect choice for those who prefer to have formulas made with the entire plant. Not only is it kosher but it is Kosher for Passover as well. Use it all year round. 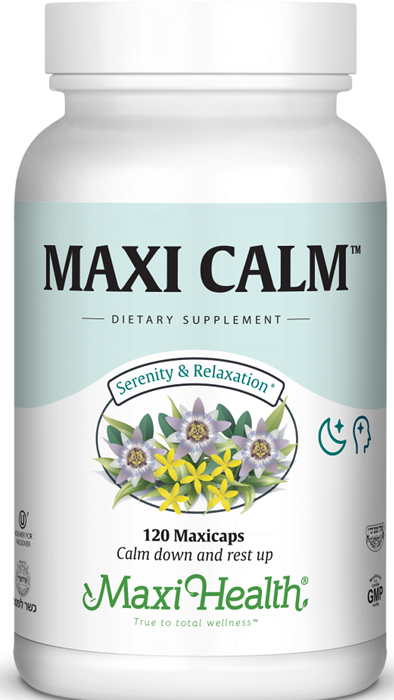 Bring Maxi Calm into your home to feel and function better. Other Ingredients: Vegetable cellulose, microcrystalline cellulose, and magnesium stearate. This product contains NO animal products, soy, colorings or preservatives.